Look at this EQ. It has knobs for treble and bass and then the mid is frequency selectable with a level control. Also has a graphic EQ for after the fact. Awesome tone controls so you can really dial it in. After that all you need is volume. Custom tolex. Neat build that is all op-amp driven except for the output section. Has a switching 4 and 8 ohm output impedance depending on if you use both speaker jacks. Customer just wanted it to be 4 ohms, one jack. Checking around, 470 ohm screen grid resistors for power tubes measured in the megs and the amp clipped at about 63W. After replacing them it would clip at 102W. 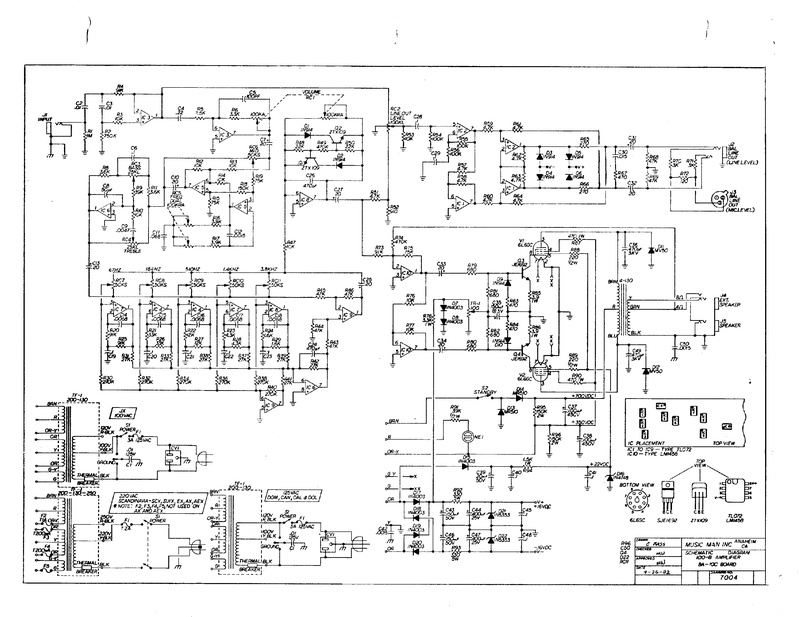 Musicman 2100-B schematic. 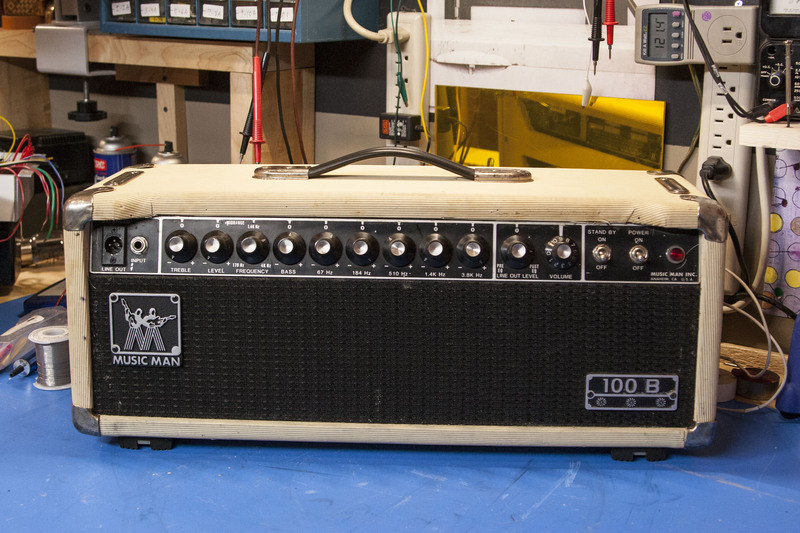 Doing the Musicman thing with a tube power section in the grounded grid arrangement and and a really high 700V plate voltage to get lots of power — 100W out of just two 6L6GCs. 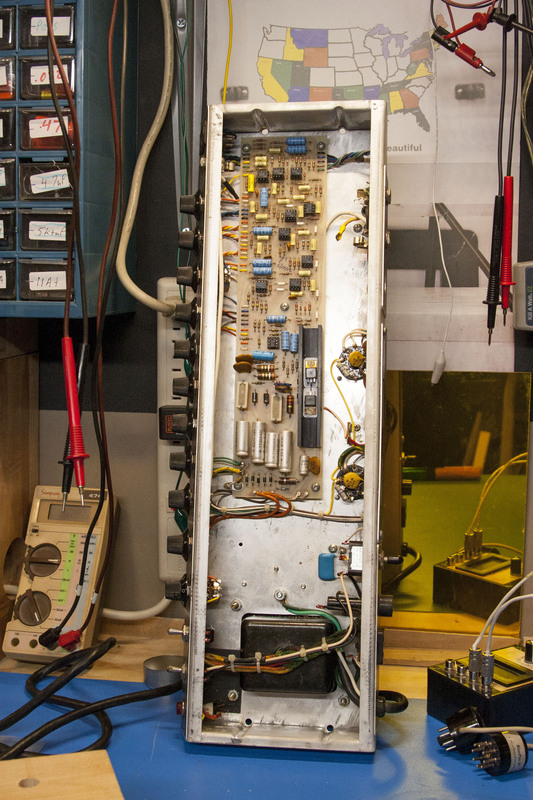 Power tubes are driven at the cathode by a pair of JE1692 transistors. Since the cathode is elevated and the grid is held at 22V by D16 1N4748 the tube still has a negative bias voltage. Everything from the phase inverter back is all op-amps.